Footwear is one of the must-haves in the wardrobe. Shoes, in particular, are very common that most people invest so much money into it. When buying shoes, people tend to select based on style and designs over comfort and even the most affordable ones. Little did they know that shoes, particularly the ones that are being used daily, must have the qualities that can bring comfort and not just eye-pleasers. Choosing the right shoes must give a relaxing feeling on the feet and not cause pain. So, before spending all your savings for another pair of shoes, be sure to consider the first comfort over others. – When you decide to buy a pair of new shoes, try to bend it in half. The shoe that easily bends towards the center does not provide lateral arch support. Those shoes that are hard to bend are the ones that offer lateral support. – Shoes that can be easily twisted don’t have enough support to keep your foot stable. – A rule of thumb is often used when measuring properly the foot length. Most people go a half size higher in terms of length. The Saucony Integrity ST 2’s are extremely comfortable shoes that make you walk and run for hours’ whole day. The Integrity ST2 is a good-looking shoe that provides excellent performance. It has full-grain leather at the upper part which features a Forefoot Stretch Zone that gives a spacious area if the foot needs to bend. Both materials are designed to give a snug fit and hold. The insole has a cushioned material that gives maximum support for people who walks longer. In addition, the flexible outside made of rubber offers durability and traction. The ST2 uses rubber as outside material. It is constructed with very light materials yet hard enough to shield the feet without adding too much weight. The rubber soles have bouncy qualities that contribute to better cushioning. If you are looking for comfortable and durable shoes, then this Saucony ST2 is one of the best options you have. This ST2 is mostly recommended for people with health issues that are advised to go on long walks as therapies. The best thing about the Saucony Integrity ST2 is that it does not require a break-in period. This pair of shoes has become of the best choices for walking shoes. This model has been praised for the support and comfort it provides and its ability to reduce foot pain. TheSkechers Performance Go Walk 4 is another excellent model of Skechers as it provides greater stability than other models released. Skechers maybe not on your list when it comes to fashionable shoes but their products are guaranteed to provide maximum comfort and performance. The Go Walk 4 is a comfy shoe that can be worn for all day walking. This pair is perfect for people with narrow and flat feet. 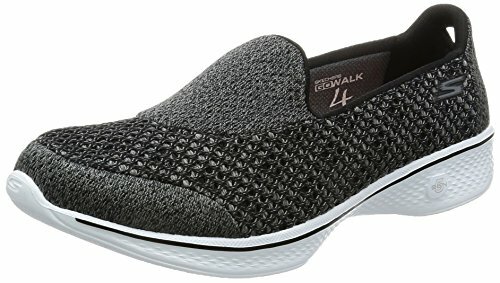 When going for a walk, the Go Walk 4 will not disappoint you as it displays a stylish look while bringing comfort within your feet. Go Walk 4 comes in different colors. Its minimalist and sleek design will never go out of style because they are neutral. You can pull them off on any type of outfit. 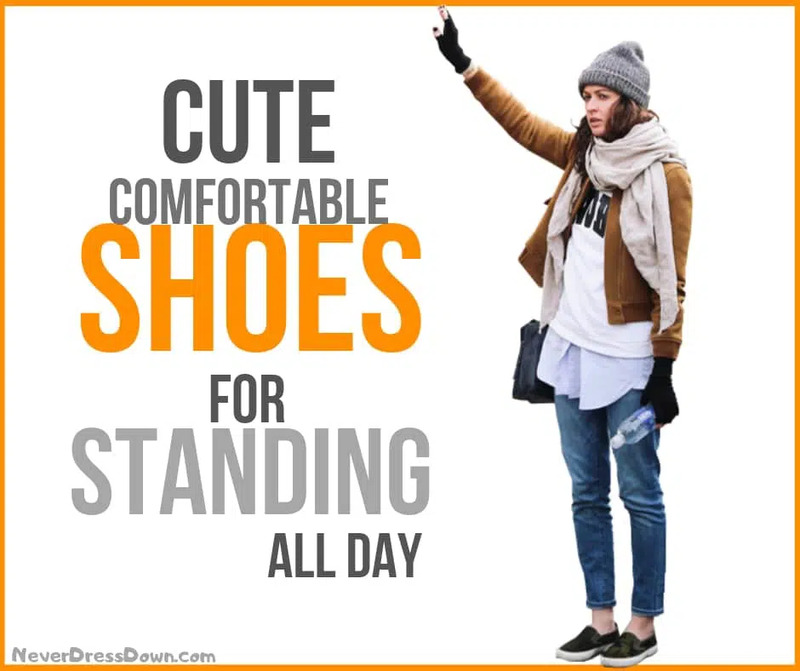 Even though these shoes are slip-on with no lace shoes, rest assured that your feet will never slip off or slide as long as you get a perfect size. Its sole boasts an innovative and responsive midsole cushioning that is built to offer a high return on each step. This means that the shoes can be worn and easy to walk with a lesser impact on the feet. 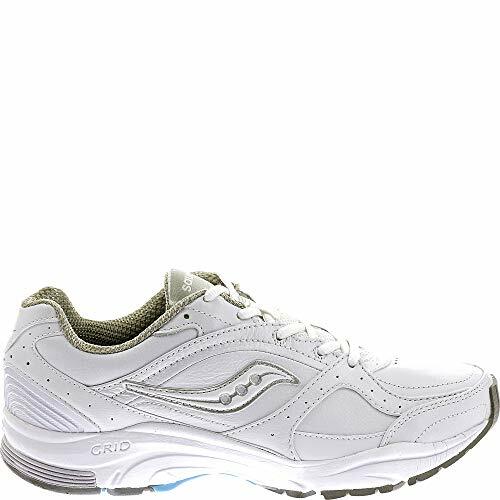 This shoe also comes with Goga Pillars Technology placed on the bottom of the shoes to absorb any hard or high-intensity impacts which are great for all day standing or walking. 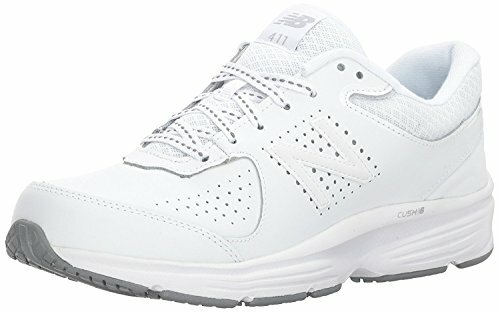 The New Balance’s 411v2 Walking Shoes are specifically designed for walkers. Its stability is the most boasted feature as they are perfect for health-walking. They are comfortable enough that you can use them for walking all over town. It comes with excellent and flexible cushioning that prevents the feet from fatigue. This sneaker is very durable with synthetic uppers. It has a Walking Strike Path technology that can stabilize the foot. The midsole cushion can absorb shock even at high intensity. The 411v2 comes with a lace-up front for a more secure fit. If you are looking for a durable yet lightweight shoes for standing all day, then the New Balance’s 411 Walking Shoes must be on your list. If you have a small or average-sized foot, this pair can also be a good choice. Shoes must be sturdy enough to provide good support especially when you are standing all day. When investing in shoes, comfort must always come first rather than style. Choosing the right shoes will help you improve posture, avoid body pains, and will surely last a lifetime when properly cared. It is important that people must be able to find the most supportive and comfortable pair of shoes, especially when used at work. People need to have comfortable footwear that is cool and light enough to prevent the feet from getting smelly, sweaty, and fatigued.